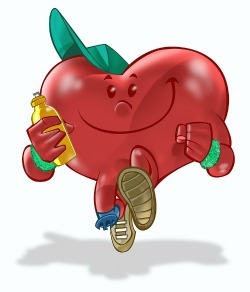 Regular physical activity can assist in weight loss when complimented with a sensible diet that includes healthy foods. Also, if you hate counting calories this food combining guide can help with that. It explains how you can combine your foods so you can naturally achieve your healthy body weight. Now if you incorporate exercise, on top of a sensible diet, you can accelerate weight loss avoid obesity. The bottom line is we can’t just put anything into our mouths anytime we feel like it. That is why the combination of physical activity and food combining works great for healthy weight loss without counting calories. Through fitness you can gain control of your body weight which can lead to increased self esteem. You have disciplined yourself and worked really hard to look and feel better. That positive feeling will shine through in everything you do. You become more attractive as people will notice your new found confidence and strength. Studies have shown that exercising regularly can help reduce mild to moderate depression. Also daily physical activity takes your focus off many things in life that may be frustrating and instead the focus is on your fitness routine. There is little time to think and worry when your day is filled with activity. Many people also get a better night sleep which enables them to handle the everyday stress of life with a greater strength. All these listed benefits are connected and help maintain a balanced life, mentally and physically. By increasing oxygen levels we increase our energy levels. Oxygen is the most critical element necessary for good health. When we do any type of physical fitness or deep breathing we are increasing our oxygen intake and cleansing our bodies. Incorporated with a balanced diet, the benefits of exercise will increase energy levels. Any physical activity makes are bodies work harder. Whether it is a brisk walk or pumping weights at the gym, your body is becoming stronger. When you exercise you are strengthening your heart and burning calories. You are making your heart rate increase which strengthens the heart’s muscle. It is like any other muscle in your body, it needs to be maintained through good nutrition and fitness. Studies have shown that people who are active in their everyday lives live longer. That would make sense since all the other benefits of exercise we have mentioned are achieved. As the population ages osteoporosis has become a major concern in today's society. Physical fitness is essential for maintaining strong muscles and bones and we know strong bones reduce the risk of osteoporosis. There are many exercises choices available, so pick one that would best suite your life style and time schedule. But most of all choose something you enjoy. Whether you favor to work out alone or prefer to make it a social event with family or friends, just try to allocate a little time for exercise every day. Enjoy all those health benefits while having fun.